Kirk founded Joyce Law Firm in 2002, after three years of working as a Deputy Public Defender at the Washington County Public Defender’s Office, and three years of private practice. In 2003, his first year of solo practice, he won a First Degree Murder trial in Washington County Circuit Court, proving his client’s innocence by establishing the deceased was the initial aggressor, and had died as a result of the defendant’s self-defense. 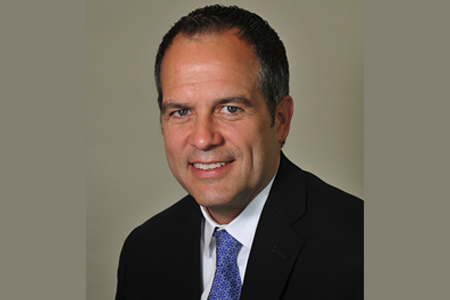 In the early years, Kirk handled a wide range of cases, but soon began to focus his practice, limiting his practice areas to Automobile Accident/Injury cases, and Criminal Defense. In 2012, Kirk settled his largest Accident Injury case to date, recovering a little over $455,000 on one case. An important part of the evolution of Joyce Law Firm is rooted in Kirk’s love of soccer. Growing up in Oklahoma, living in Arkansas, Kirk always sought out the highest level of competition. In 1993, in Northwest Arkansas, that was the Rogers Men’s League, and it was pretty much exclusively Latino. Kirk was often the only Anglo on the field. Despite the fact that he spoke little Spanish and understanding even less, he began to develop friendships that continue to this day. While playing with Hidalgo, Mexico, Pachuca, Atlas, and later with Arriba Peru, and Iglesia Luterana, Kirk’s Spanish improved and his affection for the Latino Community deepened. By 2003, when he founded Joyce Law Firm, most of his clients were Latino, a trend that continues to shape the Firm today. If you aren’t comfortable hearing Spanish spoken or want to work on your Spanish come hang out in our lobby and we will help you with that. In 1993, Kirk earned his Bachelor of Arts in Music Performance (and minor in Political Science); and in 1996, he earned his Juris Doctorate, both at the University of Arkansas, Fayetteville. While in undergraduate school, Kirk worked in some of the local factories, including Superior Wheel, and EASCO Tool, and as a custom cabinet maker. During law school, Kirk worked at Ozark Legal Service, now Legal Aid of Arkansas, and clerked for a few local firms. Kirk is licensed to practice law in Arkansas, and is admitted to practice in the Eastern and Western Districts of the U.S. District Courts. He is an active member of the Arkansas Association of Criminal Defense Attorneys (“AACDL”) and a not so active member of the Washington County Bar Association. He is a regular guest on a local Spanish television (Univision Arkansas) news program called Asi Es Arkansas, where he mainly addresses immigrant related legal issues. He has written and spoken on a wide range of legal issues, including writing articles for area publications, speaking at the University of Arkansas, School of Law, the Small Business Administration, the local chapter of the AACDL, and at area public schools and churches. He has also frequently accepted “Shadows” from area public schools, and interns from the University of Arkansas. A proud “Okie,” Kirk was born and mostly raised in Norman, Oklahoma, where he graduated High School in 1982. He has also lived in Oklahoma City, Tulsa, and San Francisco, before settling in Fayetteville in 1990. He enjoys spending time with his three children, playing music, hiking, and traveling. He continues to love soccer, coaching his son in the Fayetteville Parks and Recreation League the last three years. And loves to cheer for his daughters in dance and gymnastics. Kirk is fluent in Spanish.